It’s less than a month until Ice Kissed comes out (28 days and counting!!! 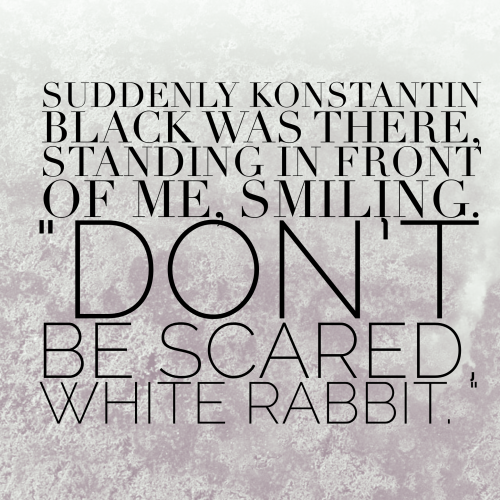 ), and this week’s teaser quote is the return of Konstantin Black – the fallen hero that Bryn Aven once deeply admired. Much like Konstantin, Bryn has always prided herself on never backing down, never being afraid. And after how things went with Konstantin at the end of Frostfire, she is angry and more confused than ever, not scared – but maybe this time she should be scared…. I didn’t know where else to leave a comment for your giveaway so I left it here…..Hope that’s ok. Sadly I have not yet read your books, and therefore do not have a favorite character. I follow a blog though that gave a great review of one, and want to read it! Thanks for the chance.